State & Federal Court System Breakdown Where to File Your Claim or Lawsuit? So you’ve got a case to file in court. Immediately, you have questions: Where should your case be decided? And who should decide it — a judge or a jury? Should you file your complaint in state or federal court? Is it a smaller claim that would be properly filed with the county magistrate’s court? And do you actually get to decide? The answer to all of these questions is: It depends. There’s a lot to consider when figuring out where and how to file a lawsuit. And almost always it will be helpful to consult a lawyer early on for strategic advice on how to proceed in a way that will benefit you most. This article will walk you through some court system basics that are helpful for anyone to know. You may know already that there are two main court systems in our country: state and federal. Of all the lawsuits pending in the United States, about 90% of cases are resolved in a state court while only 10% are litigated in federal court. So how do you choose between these two systems? The major difference between state and federal court is jurisdiction. The word “jurisdiction” is simply a reference to the types of cases that particular court has the authority to decide. Almost any case can be brought to a state court; therefore most cases are filed and resolved there. A state court’s jurisdiction is very broad. Unlike a state court, there are a limited number of cases that can be properly filed and decided in federal district court. Say your case involves a claim about a person, business or entity that violated a federal law. In that scenario, your case may be brought in federal court. Or, say you’re a South Carolina resident filing your lawsuit against a resident of a different state, and your claim is for more than $75,000. Then, you may file your case in federal court. Now, while these cases are permitted to be brought to federal court, a state court would typically also have the authority to decide them. So, there is a strategic choice to be made on your part — and an attorney can help with that. There are a few types of cases, however, that must be brought in federal court, as the state courts do not have the jurisdiction to hear them. These include patent and copyright cases, bankruptcy cases, maritime disputes and cases in which the United States is a named as a party to the lawsuit. If your case falls into one of these categories, you must file it in federal court. Across the country, there are 94 federal judicial districts, including at least one district in each state, the District of Columbia and Puerto Rico. Federal judges are selected by the President, confirmed by the United States Senate, and appointed to the bench for life. After a case has been decided by the district court, a party to the case can challenge the decision on appeal to the appropriate United States Circuit Court. There are 12 different federal circuits that divide the United States into geographic regions. The District Court of South Carolina is in the Fourth Circuit, which also includes the federal district courts from Maryland, Virginia, West Virginia and North Carolina. Cases from these district courts are appealed to the United States Court of Appeals for the Fourth Circuit, which is seated in Richmond, Virginia. Typically, a case appealed to a United States Circuit Court will be decided by a panel of three appellate judges. This is the highest court in the American judicial system. The Supreme Court has the power to decide appeals in all cases brought in the federal courts as well as those brought in state court but dealing with federal law. Unlike circuit court appeals, the Supreme Court is typically not required to hear a case on appeal. Parties file a “writ of certiorari” to the court asking it to hear the case. The United States Supreme Court conducts court in Washington, D.C.
Because each state creates its own court system and body of laws, there can be big differences from state to state. The South Carolina Circuit Court is the state’s trial court and the court of general jurisdiction. South Carolina is broken up into 16 judicial circuits and there are 49 circuit judges who serve each of the circuits on a rotating basis. Any civil case can be filed in circuit court—unless it must be filed in federal court. The Circuit Court has a Court of Common Pleas that decides all civil cases and a Court of General Sessions which decides all criminal cases. The Circuit Court also has the authority to decide appeals from probate court, magistrate’s court and municipal court. There are other trial courts in South Carolina, including the family court, magistrate and municipal courts, masters-in-equity and probate court. With very few exceptions, any civil case that can be filed in in the federal district court for the United States District of South Carolina can also be filed in South Carolina Circuit Court. The South Carolina Court of Appeals is the state’s intermediate appellate court. In most cases, if a party wants to challenge the decision of the circuit court, he or she would file an appeal with the Court of Appeals. Cases are usually decided by a panel of three appellate judges. The South Carolina Court of Appeals is located in Columbia, South Carolina. The South Carolina Supreme Court is the highest court in South Carolina. If a party would like to challenge a decision made by the South Carolina Court of Appeals, he or she would file a “writ of certioari” and ask the South Carolina Supreme Court to review the case. In very limited types of appeals, parties can challenge a decision of a lower court directly to the South Carolina Supreme Court without first going through the South Carolina Court of Appeals. Examples of those cases include death penalty cases, constitutional challenges to a state statute or local ordinance, and decisions by the circuit court related to elections. Similar to the United States Supreme Court, the South Carolina Supreme Court does not have to review all cases decided by the lower appellate court. Maybe you feel you’ve been taken advantage of and want justice to be served. Or maybe you’ve been served with a complaint and need to figure out what to do next. Either way, litigation is in your future. Where do you go from here? 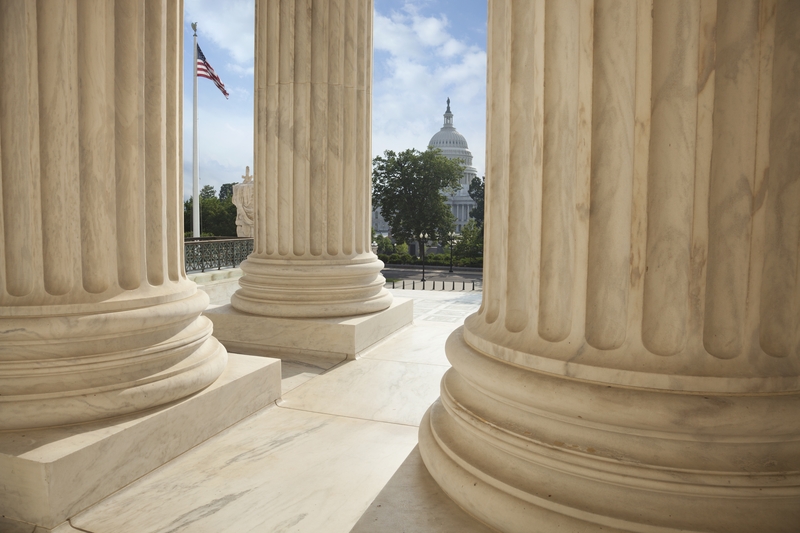 Duffy & Young assists clients in both state and federal court, with experience on every court level, from magistrate to Supreme Court, on both the trial and appellate levels, and on both the federal and state sides. With a combined 125 years of experience taking civil cases to trial, we are willing to take the risks for higher rewards. If you have a case headed to trial or a question about an issue that may, give us a call and we’ll guide you in the right direction. Read more about the specific types of claims and class action suits we've worked on.